A crime was committed when we opened this bottle! It's far too young to drink. After two hours or so, it never really did open up to its full potential. I felt like I could tell it has the right stuff, but it never blossomed. A couple of Barolo characteristics were still enjoyable. It impressed the guest- and as this was a business dinner on an expense account- that is often part of the formula. Also, Barolo has amazing texture- a thick, plush texture that coats the mouth. This wine delivered on that! Other than those two qualities, it was criminal to drink. But drink we did! And at no small price at $98 per bottle in a restaurant. Wait ten years, then raise a glass! Bonny Doon produces this interesting blend that I see available just about everywhere these days. According to the label, it's a blend of Syrah, Petite Sirah, Zinfandel, Malbec, Carignane, and Barbera. Where do they find all those vines? I've had this wine a number of times, and the 2003 vintage twice now. I can't decide if I really like it or not. For sure, it's meant to be a value-priced bottle at $10 or so. And at least it's an interesting blend. If you've had it, tell us what you think- and raise a glass! This wine is terrific! The four extra years of bottle age is hardly noticeable. It tastes youthful and full of fruit. With rich texture and a very supple mouth-feel, this wine is a real treat. I bought the wine four years ago and have had it properly cellared since then. It cost $50 at the time, which isn't bad for an absolutely top-quality Merlot. Raise a glass! My perennial favorite for chilling, sitting and sipping on a warm porch with Spring time in the air and your lover at your side. This wine--no matter the year--always seems to be pretty much the same. Pale golden hue with big fresh apricot and peach aromas that make you salivate just swirling. I paid $7 for this wine but usually runs around $10. It is "spritzig" (German for a little effervescent or sparkly) and is brimming with peach and apricot nectar flavors on a decent foundation of acid with a touch of sweetness. Raise a glass to the great outdoors and warmer winds! One of my life's credo's is, "If you're going to screw up, screw up BIG!" I posted a review of the 1997 Chateau Haut Brion (Scroll down to read the original) and took exception to the Wine Spectator's review and rating of the wine. I don't do this lightly because I am an avid reader/fan/subscriber of the print version and on-line version of the Mag. But somehow, after I wrote my entry, I was either in a hurry, or just careless, and misrepresented the W/S's rating (they gave it a 90 rather than the "96 or 97" as I stated) and totally missed the part of the review that in fact, said, "...drink through 2004." I even noted the wine we had was "bricking," a tell-tale sign of an old and possibly, over the hill, wine. Thomas Matthews--Executive Editor of the Wine Spectator, left a comment at my entry correcting me on both counts. Another of my life's credos is, "If you're going to be admonished, may it be by the best!" Indeed!!! My apologies to the W/S. I will be more careful in the future. Raise a glass. This was one of numerous bottles of Concannon wines I bought at 2 for $12. The rest were marginal and a bit disappointing. But this Merlot is a nice value even at twice the price. My wife loved it as well! It is cherry red with nice blackberry fruit bouquet. The palate is well structured, sound with ripe dark fruit and a slightly sweet palate. It finishes a little jammy but really quite tasty and easily quaffible. Raise a glass! This Argentinian Barbera was opened on the ocassion of our new grand daughter's birth. (NW) grabbed it three years ago in anticipation of this time. The wine is opaque red with a nice bouquet of ripe black cherry fruit. The palate is rich with a bready note and toast with nice structure. It is surprisingly rich for what is normally a simple, fruity table wine. It is really pleasant. I asked (NW) if this was a pricey wine--it tasted like it. Yet he paid about $8 for it! so again, we raised a glass to new life and good--cheap--wine. S'good! Visiting (NW) on the occasion of the birth of our new grandchild, (NW) raid the cellar of this first growth of Bordeaux. He purchased years ago finding it on sale for half price and still paid $100 for it. So what does a $200 classic wine taste like? From a value standpoint, disappointing. This wine is bricking slightly (turning a brick red at the rim indicating aging) and is much lighter in hue than I would have expected of a first growth. On opening it has a bouquet of fresh fruit and a nose of asparagus, with a touch of cedar and another layer of something else trying to emerge. The layers are quite nice and really need to be contemplated. This wine is fully mature with toasty palate with tight fruit structured in the "sweeter" style and has a smoky, charcoal finish. It has a decent texture and this wine is peaked right now [actually, it's over the hill]. This was a treat to say the least and yet this wine is hugely disappointing. Give me a nice $60 Napa Cab (Darioush!) any day. We raised a glass to our newest arrival and gave thanks for the gift of life! At the bottom of my tasting notes, I wrote "this is a decent wine- actually very Cabernet-like". I can't complain when a wine at least has varietal characteristics. This bottle tasted well-made, real, and very much like Cab should taste. According to the winery, it's a blend of grapes sourced from three areas: Napa- 36%, Mendocino- 34%, and Sonoma- 30%. Although towards the bottom of KJ's line-up, this wine disappeared quickly even with some wine afficionados in the room. It also paired well with our steak dinner. For $15 or so, raise a glass! In my experience, this is classic Margaux. With a balanced composition and a very classy, elegant structure, this wines exudes confidence. There's a harmony and balance, with nothing overpowering or out of sync. While a slightly lighter, dryer style than say, a Napa Valley Cab, this wine shows a number of nice layers. It's the second label of Chateau Prieure-Lichine, and fairly well priced at around $22. Believe it or not, I bought two bottles at $14 each- a steal for sure. When I went back for more two weeks later, the wine was priced at $24. Interesting! Buy it even at $24 to get an introductory lesson in what a great Margaux- like Chateau Margaux- produces for 30 times the price in a year like 2003. I'm not saying this is on par with that, rather just an introduction to that style of strength and elegance for pennies on the dollar. Raise a glass! Chenin Blanc comes alive in Saumur. This French region produces a wide variety of Chenin Blanc styles, and this one ends up in the middle. It's richly textured and shows some fruit, but also has a dry, floral quality. Paired with herb-de-provence chicken, this wine showed its stuff. I haven't seen it where I live, but picked it up at a nice little wine shop in Black Mountain, North Carolina while visiting friends. I remember paying $11 and it's worth every penny! Raise a glass! This Spanish wine is a surprisingly nice bubbly. Because it has a little sweetness but remains dry, it's a versatile wine. I would pair this with a wide assortment of appetizers to start the evening. You'll find this wine almost everywhere. 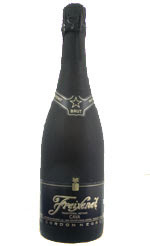 It's extremely affordable (approximately $9/bottle) and provides a nice alternative to other sparkling wines. Raise a glass! This is a Muscadet Sevre et Maine and it is pretty light in its golden hue with a gentle fresh fruit, citrus and vanilla cream bouquet. It is has a nice citrus palate with decent structure and nice acid making it a good food wine. It finishes with a hint of butterscotch. I believe this wine is around the $11 price point and is my second review of the wine. It's good enough to raise a glass with a little chill on it! Sitting home alone while my lover, friend, pal and oenophilic companion is helping with our newest grandchild and I don't want to open anything from my cellar. Don't ask me why but I went out and bought this wine solely on the reputation of the name. This is their Sonoma County offering a the $14 price point. It is a nice black cherry color with a nice black cherry bouquet with notes of cola and a touch of cedar. For the money, I would rather have a Chilean cab. At any rate, raise a glass! This is ONE exception I make for a wine with a stupid animal on the label. It is one of my favorite Sauvignon Blancs at the $10 price point though I found it for $8 on sale. It is a great value at either price. It is pale with a bouquet of guava and tropical fruit with a solid acid foundation. A fine example of New Zealand S. Blanc. It has great texture and classic flavors with a lasting finish. But this monkey and spank it down! It is really nice! Raise a glass. This producer never leaves me disappointed. It is a classy Chardonnay with light straw color and brilliant vanilla and creme brulee aromas. It is nicely made with varietal flavors of lemon and vanilla pudding with solid structure and a finish with a touch of butterscotch. At a $10 price point, this is a value and a buy! Raise a glass! REVIEWS STILL COMING IN! BE SURE TO KEEP CHECKING BACK. Welcome readers, bloggers, and wine lovers of all kinds. Welcome to The Wine Cask Blog. PB, NW and I (Billy) are happy to have you here. This month for Wine Blogging Wednesday #32 we selected a showdown challenge pitting the "regular" wines against the "reserve" selections of the same varietal or blend and same vintage. The goal is to help the rest of us determine if the reserve is "really" worth the extra money. We'll start right here at home. PB from The Wine Cask Blog selected a the 2003 Banfi Chianti Classico and Clasico Reserva to review. Affordably priced at $11 and $15 dollars for the regular and reserve (respectfully) he blind tested them with the Mrs one evening. He found that he preferred the regular over the reserve but admitted that the reserve had more complexity. Was it $4 more complexity? Click the link to read more. Moving on to Wino Sapien (the First to get his review in) Edward comes in with (eek) only half a review as the "reserve" wine is still in transit. Wino Sapien reviewed Ata Rangi Crimson 2005 from New Zealand. This would be the "regular" portion of his still unfinished WBW review pair. At $35 it is reasonable but until his ship comes in, we'll not know if the Senior Ata Rangi is worth the extra bling. Keep checking Wino Sapien to find out. Next we have the showdown from Huevos con Vino (LOVE THAT NAME!). HcV tasted the 2003 Domaine Drouhin "Classique" and "Laurène" Pinot Noirs for us. In pursuit of the ultimate distraction-free-zone, HcV took his bottles out to a cabin in the middle of the woods on an island. This is someone who takes this challenge seriously! The Classique is the "regular" and the "Laurène" is the "reserve for our comparison purposes. Pricewise, these are not inexpensive wines. They can come in around $50 and $65 respectively. HcV has a fun to read description of the tasting amidst nature. In the end, it comes down to levels of complexity. While HcV finds the Classique wonderful and immediately accessible, the Laurène is found to be deeper, more complex. Is it worth it? Click over to Huevos con Vino to read the whole thing and find out. Third Coast Wine is where we turn next. 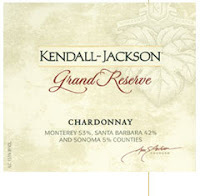 Razmaspaz from Chicago found a deal on the Estate Grown 2005 Kendall-Jackson Chardonnay and Grand Reserve Chardonnay. The KJ Chard came in at about $12 and the Grand Reserve at about $14. Third Coast Wine found that it wasn't so much the complexity that dictated the difference in the showdown, and neither was it the expectation of more or less oak in the Chardonnay. Rather it came down to subtlety and value. Razmaspaz liked the reserve better, especially for the rather minuscule price difference. Take a trip over to the Third Coast Wineto read the details. Joe from Joe's Wine has our next review and he selected to compare the 2001 Chateau Montus against the 2001 Chateau Montus Cuvee Prestige. In Canadian dollars these came in at about $32 and $54 respectably. A significant price swing. Is the value there? The Structure? The Complexity? You'd need to click over to read the entire review. Joe ultimately comes down on the side of the "regular" offering but more because the Prestige ("reserve") may simply not be ready just yet. Joe itches for a future showdown so bookmark Joe's Wine and check back every once in a while to see when the Prestige comes into its own. 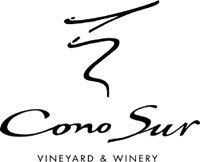 Wine Girl from the My Wine Education blog has a great showdown with two Chilean wines from the Cono Sur winery. The selections were the Cono Sur 2005 Merlot and the Cono Sur Visión 2005 Merlot. The Visión is the "reserve" of the pair. The wine was ordered online and was quite accessibly priced at about $8 and $11 respectively. MWE found that the differences in flavoring and structure for two similarly priced wines was significant. While the regular was tasting as vegetal, MWE liked the earthiness and jamminess of the reserve. In the end, the Visión was worth the extra $3. Not a bad bit of reviewing there! See My Wine Education for more. Wine Outlook is next up. 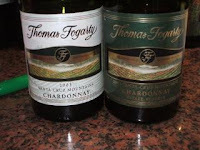 Farley blind reviewed and enlisted the help of some customer-guinea pigs to review the 2003 Thomas Fogarty Chardonnay and the 2003 Thomas Fogarty Reserve Chardonnay. Wine Outlook's analysis of the wines, why they were selected, and how they were made is expert. Nice work. So how did the wines stack up? The regular is priced at about $26 and the reserve at about $38. The grapes are from the same four vineyards in the same region. This showdown really showcases the difference in winemaking. Farley and *her* customers decided that the regular is solid, ready to drink, and pleasing. An all around good wine. Not overpriced, not value priced. Just plain good. But the difference in the winemaking between the regular and the reserve is quite amazing to read. You'll need to check it out. All in all there were about twice as many who preferred the reserve to the regular. Thanks to Wine Outlook for getting a gaggle to guzzle! Israeli Wine Direct - the blog about wine from Israel has our next showdown. The wines come from the Recanati winery in Israel. The wines are the Recanati Merlot 2005 and the Recanati Reserve Merlot 2002. Richard blind tested these for us. Though guessing which was the regular and which was the reserve incorrectly, IWD liked the reserve better. 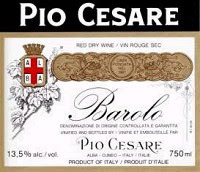 The regular is reviewed as a decent table wine and the reserve comes in more fruit - forward with a nicer smokey finish. The regular merlot came in at about $12 and the reserve came in at about $22. A non-trivial difference. It should be noted that IWD reviewed a regular and reserve from separate vintages (years) and that, perhaps even more than the labeling, can make the difference. So we'll call the jury still out on these two wines from Israel. Still an engaging review from Israeli Wine Direct. Click through to check them out! Back in the states we go to Brooklynguy's Wine and Food Blog. Brooklynguy takes on a number of 2004 wines from the Loire Valley in France and made by Bernard Baudry. This is a very fascinating post that does a really good job of demystifying the French labeling which transcends the simpler regular / reserve dichotomy. Brooklynguy decides to compare the Cuvee Domaine, a mid level at about $15 or so to the Les Grezeaux a one step below the top level that comes in at about $25. All in all this was a great read about how a good winemaker with typically good wines can just have an off year. While the LG came in as "better" Brooklynguy ends up recommending that we wait for the 2005 vintages! But that's what this is all about isn't it! Point us to the "good stuff!" Thanks Brooklynguy! Be sure to check out Brooklynguy's Wine and Food blog! Vinilicious blog has the next WBW Showdown posting. Though they selected two different vintages, we'll let it pass. The excuses are fun to read! 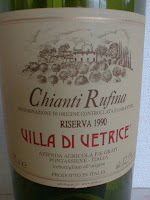 So Vinilicious selected the 2004 Grati Fattoria di Vetrice Chianti Rufina and 2003 Grati Villa di Vetrice Chianti Rufina Riserva. The regular chianti came in at about $11 and the Riserva at about $15. So what does $4 buy? The opinions come from Bryan and Liz (as well as the parents during Easter Dinner). So we get reviews at 4 for 1. COOL! Ultimately, the Riserva won but only by being the not-worst. Not a very ringing endoresement. No worries though. There are lots of other chianti's out there! The posting was quite fun to read. You just have to head over to Vinilicious for yourself. On to the CorkDork's selections. After a nice introduction to the wines of Domaine du Pégau and Laurence Féraud and Mark Fincham in particular, CorkDork posts a showdown for the following: The 2004 Plume Bleue is the regular wine and 2004 Plan Pégau the reserve. The Plume Bleue came in around $8 and the Plan Pégau at about $17. CorkDork likes BOTH wines though points out that the Plume Bleue is quite a good value especially when going against Austrailian Syrah. 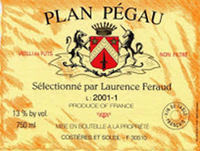 The Plan Pégau is more complex, more Rhone-ish and has more character. To this reader, the wines aren't so much competing as designed for different events/moods/meals. And there's another beauty of this kind of a review showdown. Sometimes both wines are winners - even if value priced!. Check out CorkDork's blog for the in depth behind the scenes as well as some cool pictures of Laurence Féraud. The Good Doktor Weingolb has our next entry. FYI: WBW # 33 will be on Doktor Weingolb's blog so keep checking for announcements and information! Despite different bottle appearances and labels, the sibling wines from Hillebrand Estates Winery were selected. The showdown is between Hillebrand's Harvest Cabernet-Merlot vs. Trius Red 2004. 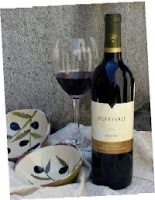 The Hillebrand Harvest Cab Merlot is the "regular" and is about $10-15 while the Trius is a touch more at about $20. It was the Trius that was preferred though the other was not bad as a table wine. But this sentence says it all, "...For as little as $5 more, you are getting a lot more elegance". Be sure to check Doktor Weingolb for the details as well as info on the next WBW! Amy from The Second Glass posts next with a showdown of biblical proportions: Battle of the Malbecs. The David of the showdown is priced at about $10 and is the Altos Los Hormigas 2006 Malbec. The Goliath of the pair is priced at about $25 and is the Altos Los Hormigas 2005 Reserve Malbec. While the Altos Las Hormigas Malbecs are not from the same year, we'll still let them join in the fun. The Second Glass reviewers had fun with this review and also enlisted the help of some wine-regulars a one of their local haunts. The result? TSG says it best, "...The reserve is the Goldilocks, and the everyday is the three bears." I'm still trying to wrap my head around that one. You should click through to read the entire post and then leave a comment here if you figure it out! At least remember to keep a regular tab open for The Second Glass. The blog with the longest name is next: ~ Through The Walla Walla Grape Vine ~ blog, a name I'll not type again, brazenly breaks the rules but keeps the spirit of the sport with her post comparing Forgeron Cellar's popular Red Table Wine and Forgeron's proprietor's blended reserve, Vinfinity. 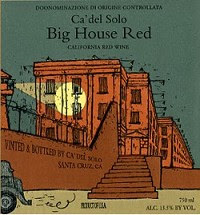 The Red Table Wine (our regular) is priced at about $16 and ~TTWWGV~ blog calls it a great value. The Vinfinity is about $46. It should be noted too that the Red Table Wine is a non-vintage wine and the Vinfinity tasted was the '02. ~TTWWGV~ notes that the Red Table Wine is intended to be open and consumed now, casually. The Vinfinity, a bit more, shall we say, intentionally. ~TTWWGV~ indicates that there are clearly elegance and quality differentiators between the regular and reserves as well. But that what you intend to do with the wine is as big a determinor of which wine to buy as price or "quality". Good advice that. Check out ~TTWWGV~ blog for more. From Washington State to Ohio we go. Cincinnati Wine Warehouse has the next post. Jens, who runs a wine shop and wareshouse in that area has selected Simi Winery Chardonnay as the subject of our WBW showdown. There is a very nice history of the winery and the family that ran/runs it. The wines selected are the 2005 Simi Winery, Sonoma County Chardonnay at about $15 and the 2004 Simi Winery, Russian River Reserve Chardonnay at about $27. Once again the theme of the purpose of the wine emerges as a key determinor of value. CWW Blog suggests that the regular is the right choice for a party and the reserve is the better pick for an elegant evening. Neither is bad, but value is found in intent. Pop on over to Cincinnati Wine Warehouse for more. Garry from Tales of a Sommelier weighs in on Argentinian Malbec with a showdown between a regular and reserve from Nieto Senetiner, the first is the entry level Santa Isabel, the other is the Reserva Malbec. The Santa Isabel is an '06 and the Reserva is an '04 so there is some difference to be inferred directly from the different vintages. Nevertheless, we continue. Tales of a Sommelier is based in the UK, so prices in his blog as listed in GBP. That being said, the Santa Isabel he pegs at about £18 and the Reserva at about £24. Like many of the other bloggers this WBW, Garry finds a liking for both the standard and reserves he reviews and places a premium on intent when determining worth or value of the wine. Party and entertaining gets the Santa Isabel (the regular) and fine dining gets the Reserva. Take a spin over to Tales of a Sommelier to read more. Catherine from Purple Liquid decides her showdown will be between two Merryvale Vineyards Cabs. The "regular" is a 1999 Merryvale Cabernet Sauvignon that was about $21 and the reserve is a 1999 Merryvale Reserve Cabernet Sauvignon that ran about $30. So there's a nice spread in the price that most of us would notice when making a purchasing decision online or in the store. Catherine blind tests the wines and, while finding them both good, the reserve comes out ahead for its better structure and deeper complexity. In the evaluation of Purple Liquid, the extra $9 for the reserve is nine dollars well spent. Check out Purple Liquid for more. Lenn Thompson, the one behind the madness that is Wine Blogging Wednesday and to whom all the praise for the concept and the community should go, and to whom none of my novice errors or pronoun choices should be ascribed, is weighing in with a doozy! In fact it's a twosey doozy as Len compares not one but two pairs of wines from his neck of the globe, New York. The first is a white pair. Lenn sets up a regular and a reserve chardonnay from Treleaven Wines 2005. The regular of the pair is set at about $13 and the reserve at about $17. The results? You should read the review for the full details but the net is that for the extra four bills, the richness and build of the "reserve" is worth it. What about the second pair? 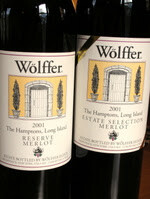 Lenn goes with Wolffer Estate's 2001 Merlots. While they have an entry level merlot, it was unavailable, so Lenndevours compared the reserve merlot set at around $17 to the estate selection merlot set at around $35. Think of them as "super-regular" and "super-reserve". Lenn likes the food-versatility and flavorfulness of the $17 "reserve". However the $35 estate selection is rich and full and round and just that much bigger. When it comes down to it, is it worth the splurge when the lower priced wine is actually quite nice? Click through to Lenndevours to find out. The reviews keep coming in. Now we move to Winecast and a pair of 2003 California Zinfandel. Winecast sets up the showdown between the "regular" Rancho Zabaco, Zinfandel, “Sonoma Heritage Vines”, Dry Creek Valley and the "reserve" Rancho Zabaco, Zinfandel, “Sonoma Reserve”, Dry Creek Valley. Both of these should be quite available to most of our US readers. The pricing on the regular is about $15 and the reserve will come in at about $22. So what about the review? Winecast does a very nice job of contextualizing the reviews and analysis up front. When it comes down to it the regular wins this dual on value and structure. Not that the reserve is bad, but if you can save $7 on a bottle why not? Truth be told, you should really head over to Winecast and read the whole thing. Late Arrival Culinary Fool gets her entry in. 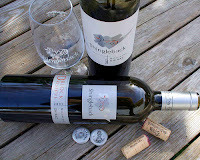 The showdown: Shingleback 2003 Shiraz and the Shingleback 2002 D-Block Reserve Shiraz. Both of these Australian wines are 100% shiraz. The "regular" can be found for about $15 on sale and the reserve comes in around $40-50. This sets up a nice distinction between the wines at least from an expectation based on price point. Culinary Fool has a good writeup on both wines and you should head over there for the details. The results are interesting. While the hefty price difference in the reserve is substantial, Culinary Fool thinks it's worth it and that the regular line is value priced at around $15. Again, we see a theme of the "regular" being great for everyday quaffing or bringing to a party with the reserve set as an elegant "special time" wine. Make sure to check out Culinary Fool for more. Additional reviews keep coming in and we're happy to post them. Check out this next review by the folks over at Box Wines. They selected something that we should all be able to find within 15 minutes of where we are right now: Jacob’s Creek Shiraz 2003 & Jacob’s Creek Reserve Shiraz 2003. The Regular will run you all of about $6 and the reserve will run you about $12. I loved this review. It took on economics, hypothetical dinner parties with hypothetical guests, grilling, and starving artists and did so with aplomb. Without a doubt the showdown has the $12 reserve as the better wine. But Box Wines has to go throw in a wrench with this question: If you were on your way to a party with exactly $12 in your pocket, should you get one bottle of the reserve or two of the regular? You'll need to click over to Box Wines to find out. Another late posting here, though not of their fault as the entry got caught in my G-Mail spam filter (yeah, I'm blaming this on the technology). The Red Wine with Fish blog has a nice write up of a blind test of a regular and a superior Heymann-Lowenstein Riesling. The showdown was between the 2005 Heymann-Lowenstein Schieferterrassen and the 2005 Heymann-Lowenstein Rottgen. The former is the "regular" and the latter is the "reserve" or superior wine. Moderately priced at about $25 for the regular and $45 for the reserve these are fine candidates for the blind testing the folks at RWwF performed for our little test. The reserve was the definite winner but it is noted that the regular is not to be scoffed at. As I read it, the regular wine has more rough edges than the superior. The crafting of the wine appears to set these apart. But you should read through and be the judge of it as well. Definitely keep checking back to Red Wine with Fish for some great write-ups. I will keep posting reviews as they come in to my email. Remember, if you want to be included in the write up, send your submissions to serona -at- gmail -dot- com. This is the topic for wine blogging Wednesday hosted by this time around by we here at the Wine Cask Blog! I selected two chianti's from the famous makers at Banfi. The wines were tasted blind side by side. I first graded each one for color and selected the one I preferred. then evaluated the bouquet and nose again choosing the one I preferred and finally reviewed their taste and finish choosing the one I preferred and then with those categories in view, selected the one I preferred. Note--I was not trying to guess which one was the reserve and which one wasn't. I wanted to see first and foremost which one I liked better and then decide no matter how that fell out, if the price difference for the reserve was worth it. Bouquet: one had a tart raspberry note with medium fruit and classic Sangiovese aromas. the other had medium fruit with light pepper note and was a tad deeper underneath. Taste: one was tart with a nice balance and a slight touch of licorice and a slight peppery note. I said it was an all around decent wine but nothing remarkable. The second wine was not as acidic though unremarkable in most ways even if well made. Bottom line was I liked the less expensive non reserve wine by a fraction! In my estimation, yes the reserve wine was a tad more complex but remember the axiom of drinking wine? YOU like what YOU like. so in this case, I get off $4 cheaper and in my estimation, the extra cost was not worth it. At any rate, raise a glass to wine blogging Wednesday and thanks to all who are participating! I am a big fan of Rosenblum single vineyard Zins. Whenever I am out in California or elsewhere in the country I look for another Rosenblum single vineyard Zin to take back with me. I have reviewed numerous ones and this is yet another new one for me. Remember Rosenblum makes over 20 different zins. My wife actually brought this one back from a trip to L.A. She paid $32 for it. This is another stellar Zin which is blended with Petite Syrah and Carignane but still retains a high enough percentage of Zin to be called a Zin. In the glass this wine is really young in color with a deep purple hue that coats the glass when swirled. There are huge aromas of deep black plummy fruit ( I suspect the contribution of the Petite Syrah) with an intense spice and pencil erasure/meaty touch. On the palate this wine, which is 16.5% alcohol. In the mouth this wine is rich and spicy like crazy, with awesome velvety tannins that will hold for several years. This is a WOW wine! With some air the erasure smell is gone leaving just thick black plummy ripe fruit with a palate of rich espresso sandwiched between gobs of ripe fruit. It finishes with some smoke and more fruit. A gargantuan Zin that is wonderful. Now, some of these huge Zins can be difficult to pair but for this Easter celebration of the empty tomb, we had slow roasted pork with lime mojo, spiced butternut squash and corn and cheese arepas. (It's Cuban cuisine.) It worked really well and the dish needed a wine as big and bold as this kind of Zin. A fitting repast for the joy of resurrection Sunday. Raise a glass to the Risen Savior. This is a Spanish Rose that is really pale like watermelon juice with a bouquet that is intriguing. I t has a sweet aroma with a touch of spice or caraway that is quite nice. The palate is at first bitter on first impression with tight fruit flavors and rather shallow with an after taste I can't pin down. As it warmed up a bit it was sweet and full of spice with decent acidity. I paid just a hair over $6 for this wine so what can you expect? For the price its not bad at all but at the same price point I prefer LaVielle Ferme. It's up to YOU to determine if the "reserves" are really that much better. So get two bottles, same vineyard/winery same vintage but have one be the "regular" version and have one be the "reserve" label (different "levels" of the wine are fine as many "reserves" are not actually labeled as such). Compare them. What makes the reserve wine better? Is it really worth it? Don't go overboard on pricing as some reserves can get spendy. The Wine Cask Blog is about accessibility to the world of wine and part of accessibility is price. You could even pair up with another wine blogger and one of you do the regular and the other do the reserve. We will have a synopsis of the reviews and links to your blog posted starting Wednesday April 11. At first, I didn't like this wine all that much. Then it really grew on me because of its fragrant nose and good flavors that emerged. Possibly, I just needed to adjust to it because it is a lighter style of Cab. 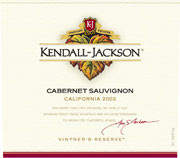 The flavors are more of the red fruit than the dark fruit and mocha in so many other Cab's. It really has nice personality. I paid $20 for this wine at a local wine shop, and have seen internet prices range fom $17-$21. Raise a glass! Maybe a bad botttle? This wine tastes flat and a little off-putting. There are some lively aromas on the nose, but it finishes with sour fruit and just seems odd. If it's not a bad bottle, then it's just a bad wine. While I can't confirm that, it would be really disappointing because I like the 2000 a lot. My recommendation is to be careful with this selection. If you're looking for a Priorat from Spain, grab something else in the 2001's. Then raise a glass of that! There is a nice, dry quality about this wine. It has that elegance and balance similar to what is found in many red Bordeaux, but is less common in California. It's a nice alternative to the big, powerful Napa Valley Cab's when you're looking for something more subtle. Don't get me wrong, though, it's still a fruit-forward and modern-style Cab. I see it on a lot of steakhouse wine lists, and recommend this as a lower-priced alternative to the big name wines. Recently, at a Morton's, I paid $50 a bottle. Raise a glass! This is a fairly "old world" style of Sangiovese from Maremma (coastal Tuscany). It has that steely core and just as much herbs as fruit. For food pairings, think pizza, spaghetti, and other Italian comfort foods. I find this style of wine to be enjoyable with a variety of dishes, but it's not a wine I would tend to sip on after dinner. I paid $12, which is in that reasonable range of food-friendly Italian reds. Raise a glass! This South African delight is a pale straw with a lovely fruit filled bouquet full of sweet apricot, peach, apple and pears in the nose. Steen is the colloquial name for Chenin blanc in S. Africa. It is really surprisingly dry for as sweet as it smells. It has tight flavors, nice Chenin acidity with a lingering finish that is pleasant. This wine should be chilled and served with lighter foods. For $8 you cannot go wrong so raise a glass! This Cotes du Rhone blend of Grenache, Syrah, and Cinsault, is a medium-cherry/plum hue with prominent chocolate bouquet with a tight light dried cherry and steely nose. In the mouth this wine is tart--too much so--on opening but give it some time! Flavors are stingy and the wine is a little chewy. Ah, the benefit of breathing! With an hour of breathing, this wine transforms to a really nice value wine and a nice example of an old world wine style with more subtle nuanced flavors and layers. I think I paid around $10 fro this and it is well worth it. Just be sure to breathe it and also appreciate what a beautiful label you can put on a bottle instead of some stupid graphic or animal. Raise a glass!